The translations are copyrighted 1973 to publisher. "Printed in Germany 1973" and "Ullstein Buch Nr. 3021" are stated on the copyright page. 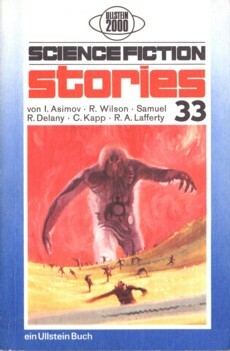 Month of publication from 'Science Fiction Times #134'. No credit for cover art, only ACE is stated (a publisher). The cover art was found on this Ace double.